I'm calling out my Love Idols as Jennifer Lee calls them. The ones that say I'm not good enough and that I have to keep striving to find my worth. My need to be known (or seen), recognized, loved, appreciated has elevated itself to idol status. I measure my worth in comments, like, shares. And then I realize how empty it all is. It doesn't fill and satisfy the way I thought. I want my words to hold value and be well received. My good enough depends on it. The comments flatter and I don't really need you to say, "Alecia, of course you matter,"as nice at that is and I love hearing it I really need to BELIEVE it in my own heart. Because when the words stop and I have to pull away from this space, a little bit of my heart panics a little. God knows the voices are a plenty in this world and there is no void. But I'd be lying if the thought, "Will they forget about me?" didn't cross my mind. In those moments when I doubt my worth and if I have anything of real value to offer. My God whispers to my heart, "You will never be forgotten. You are valued, loved, seen, appreciated, and recognized, but not for the reasons you think. But because, YOU.ARE.MINE. 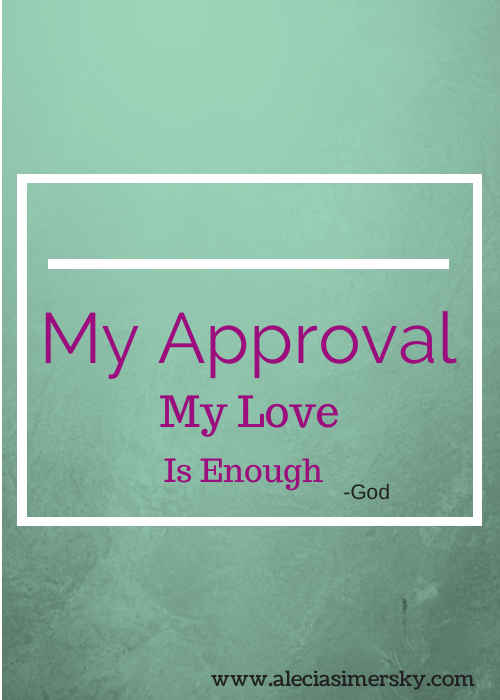 My approval and my love is ENOUGH. Believe this, child." That's why I pull away at times. When everything is going great. I pull back. I have to ask myself for whom am I living for? For whose approval? I know my pride well enough to know I can get caught up in the praise. I don't think there's anything wrong with wanting it. But when my hearts starts writing and craving it more than God, that's when I stop. And do a heart check. I don't want this space to ever be about filling a hole in my heart, but a pouring out from the overflow. Isn't it like that with all dreams? We have to make sure we aren't living for the approval of others to fill a need to be seen or appreciated but because we already know these things, we live out our dreams to grow even closer to God and live out our calling. Am I writing the words you want me to write? Human nature wants the approval and the affirming nods, He knows this. He just doesn't want us to want it more than Him. Ultimately it's about the connection-with God and others more than the applause. Let them see You in me..in all I do, all I say, and all I write, Let them feel You. It's about living out whatever dream God has laid out on your heart because you can't not do it any longer. It's about living out the dream with God and not making it about you. Take it all. Take everything. Who am I without You? *Hey friends, thanks for hanging out with me, it's been a while since I've posted. Sometimes I need to be quiet when my world gets loud. And it's been really loud lately. I'm so glad you are here, you are the reason I keep coming back. Love you! (The italics are lines from songs I had running in my head as I wrote this post. It's so easy to lose sight of the WHY-isn't it? There are so many good reasons for living out our calling, sometimes we just have to get out of our own way :) Thanks for coming by and sharing, Kristin. And in the spaces you are meeting your Redeemer. Beautiful. Love this part: "Ultimately it's about the connection-with God and others more than the applause." Thanks for sharing. Friend, this is amazing! I love God's words to you: "My God whispers to my heart, "You will never be forgotten. You are valued, loved, seen, appreciated, and recognized, but not for the reasons you think. But because, YOU.ARE.MINE. My approval and my love is ENOUGH. Believe this, child." I am embracing them as His words for me too! It is so easy to lose sight of motive and meaning, and to let pride and comparisons get in the way. Thanks for your honesty about something that is a challenge for many of us. I just began reading Jennifer's book yesterday. Alecia, Oh, thank you so much for writing these words. Thanks for sharing your honest heart. This right here ~> "I don't want this space to ever be about filling a hole in my heart, but a pouring out from the overflow." Me too. Me too. But I know there are times I still let it. You spoke to my heart! THANK YOU. What you wrote here really resonates with me. The social media thing, like everything in this tainted world, is a double-edged sword. I love being a blogger, and social media has brought out a new dimension in my life that never could of been tapped into otherwise. However, there is that sneaky little evil whisper to connect, network, like, more for our own vanity. You are not alone. Whenever I feel that twinge of either a) loser-ish feeling for my trivial "on-line presence" or b) fake-ish feelings for commenting, liking, solely angling to promote myself, I pull back, just as you did. 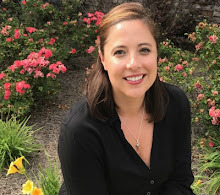 Ann Voskamp has a great quote: "write for one". Trust that if what you are writing is His truth it will reach that one who needs that same truth as well. And you will probably never know it. Keep up the honesty and heart. I'm taking a little breather today...for all the reasons you mentioned. These little check-ins keep my writing in tune and time with the beat of His heart. So I'm spending time connecting and reading and.listening to my friends today. Wise words today Alecia. Thank you. So true, Alecia - Today was the first time since October that I actually tried to post, link, comment, and follow-up. There must be a balance between wanting/needing to write something, and wanting/needing to know someone is reading it, and yes, knowing that someone is appreciating, agreeing, disagreeing, moved by, surprised by, or changed by our words... 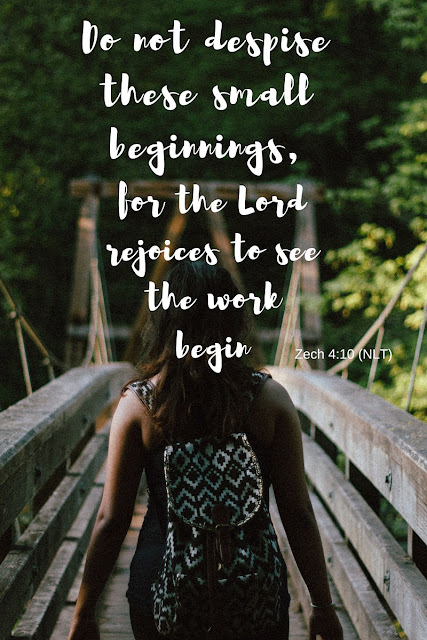 I am trying, as I sit to write a post, to prayerfully enter into this blog thing - because ultimately (and I DO have to keep reminding myself), it's not MY message. It's not easy, is it? Thank you for validating my struggle.. Thank you so much for sharing your heart so openly and honestly. I've been on a break, technically, for a few months. I went from writing about 5 days a week to one, now 2. I struggle so much with man's approval, wanting to be accepted, wanting to know what I write matters to someone. I forget sometimes that it only has to matter to God. I never want my words to fill a void, or the ache that is in my heart. I think that's why I haven't been able to full come back yet, to the writing. He's still got work to do. I think we all wrestle with that. I now I do too. Your lines here reminded me of that song "remind me of who I am to you, God." Yes, and I appreciated your question of "Am I writing the words you want me to write, God?" Yes, that is my prayer each time too. Is this God-honoring? Is it encouraging? Is it real? Thanks for your honest wrestlings here. :) Re your comment on my post "This Transforms How I See Easter," it's a powerful chapter, isn't it? It grabs me and rings through my mind whenever I think of him on the cross now. Poignant.